As soon as the first signs of spring appear you may want to think about getting your garden summer-ready. It can take a few months for you to do what you need to do in your garden so that it’s ready for the summer. So, get ready to visit https://www.dinodecking.co.uk/category/composite-decking-boards/ so you can make your garden ready for the best season of the year. Keeping on top of your lawn is vital as it can make a huge difference between your garden looking good and your garden looking scruffy. 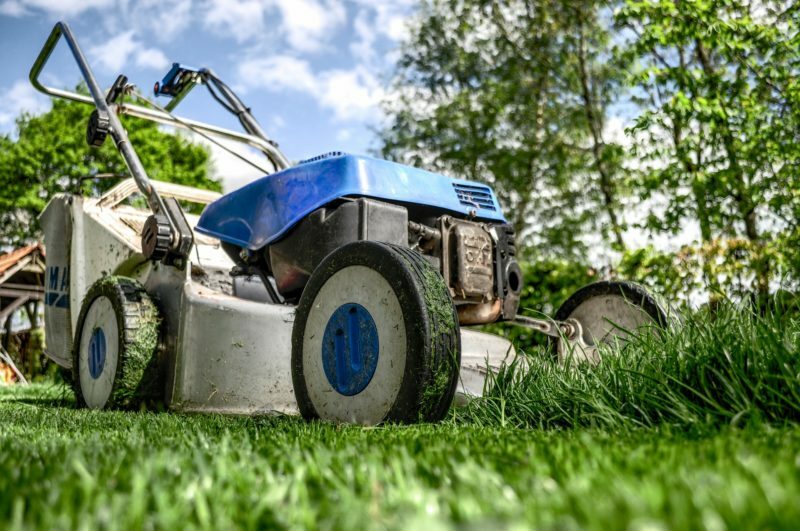 During the summer months, your lawn is going to grow quite a lot, in fact, you may need to cut it every week or two. If you have some bad patches in your lawn, now is a good time to deal with them. Re-sow any bare patches, making sure to aerate your lawn to encourage growth. You should also make sure you get rid of any weeds such as the white-flowering clover that can take over the lawn. Pull the clover out by ripping up the stems as this will help to prevent them from taking over your lawn. Don’t forget to nourish your lawn from time to time with a bit of lawn feed so it continues to look good. A great way to get your garden summer-ready is to build some decking. Adding composite decking can ultimately give your garden a new lease of life. It can also mean you have a place to sit and enjoy the hot summer sun or even a bit of shade. Make sure you fully plan where to place your decking before you build it, and don’t forget to clear away any weeds or stones that may be in the way. Choose the right colour decking for your garden and don’t forget to add a few steps to help you get up to your decking and a handrail too. You may also want to make your steps a different colour than your decking as it makes them stand out. The different colours will make your decking stand out a little more too. Place some of your garden furniture on your decking so you can enjoy sitting out when the weather’s good. While it’s easy to stockpile things in your shed during the winter months, you should consider clearing your shed out. This is because you’re likely to need access to your shed and any tools you have in there. Take everything out of your shed and sort through everything. Make a pile of the items you do not want to keep and take them to the tip, a charity shop or ask your friends or family if they want them. If you still have too much stuff you may need to be ruthless and throw away anything that is taking up too much room. Don’t forget to give you shed a good clean as it may have become dirty over the winter. Mend any loose fixtures and fittings and place everything back in your shed tidily. When your shed is organised it will be easier for you to find any tools and equipment you need. A good way to get your garden summer-ready is to paint your fence. During the cold winter months, there’s a real chance that your shed was battered by the cold, wet weather. This is where you can give your fence a new lease of life. Give your fence a new coat of paint so it looks as good as new. Alternatively, you may wish to varnish it so that it has a bit of protection from the hot summer sun. You may not have noticed that your plant pots have become dirty, but it’s very likely that they have. Use some soapy water and a sponge and clean all of your plant pots. You don’t have to spend a lot of time cleaning each of your pots as a quick wipe should do the trick. Another great way to get your garden summer-ready is to clear up any leaves and dead branches that you have. Leaves can make your garden look untidy so make sure you pick them all up. You may also want to do the same with any dead branches you find around your garden and in your borders. Place any dead branches along with any plants and flowers you come across in your compost bin or your green waste bin. Don’t forget to check under hedges for dead leaves as they can be hidden. A good clear up can breathe a bit of life into your garden. Getting your garden summer-ready will ensure that when the season hits us your garden looks good.